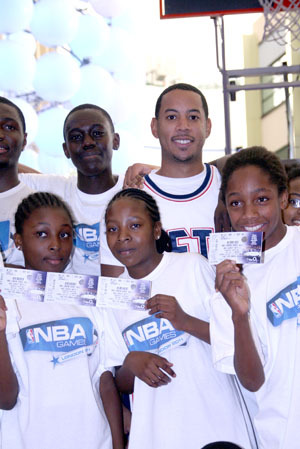 Devin Harris says ‘the Stuart Tanner incident’ taught him a “valuable lesson”, and that its global popularity shocked him. 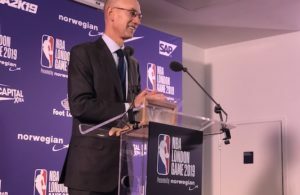 His comments came as he visited London for the first time since the infamous one-on-one, to launch ticket sales for the two regular season NBA games at the O2 next March. 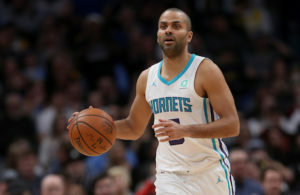 “I didn’t expect it to be as globally popular as it was, that was probably the most shocking thing,” the New Jersey Nets point guard said about the video of him losing to the Brit baller in October 2008, which has had more than 4.6 million views on YouTube. “I usually can read people pretty well, but it was kinda unexpected to happen so fast, I didn’t really know what happened. But it did teach me a valuable lesson – don’t take anybody lightly. These are turbulent times for Harris and the Nets though. 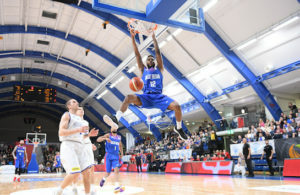 Under the new ownership of Russian billionaire Mikhail Prokhorov, the Nets have just filed an application with the NBA to change the name of the franchise ahead of the 2012-13 season, when it will be moving to a new arena in Brooklyn (Harris didn’t have any inside information about what the new name might be!). Meanwhile, his name is currently swirling in trade rumours involving the Nets and Carmelo Anthony. But he’s trying not to sweat it. “Trades and things you really can’t control, I don’t worry about,” he told MVP. “If they’re gonna happen, they’re gonna happen – you just gotta make the most of it. That’s what I’ve done with my move from Dallas to New Jersey. The rumours are just rumours right now, you never know what’s going to happen. You just have to prepare assuming you’re going to be there and see what happens”. Next Story → BENNY B: HE’S BACK! 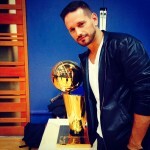 Greg has been working within basketball for 15 years, as a journalist, TV presenter, events organiser and much more. See gregtanner.co.uk for more.